Located near DeGraff, Precision Custom Products, Inc. (PCPI), has been manufacturing plastic injection-molded parts and components since 1976. The company, founded by James Kniska, started out with only one machine, one customer, two associates, and a simple philosophy of total customer satisfaction. 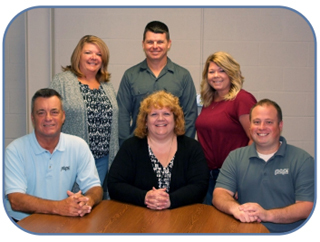 In 1990, the business was purchased by its current owner, Jim Kerg and under his leadership, PCPI has added to its production facility three times and now operates 18 injection molding machines with capacities ranging from 28 tons to 550 tons. Their marketing strategies today still revolve around customer satisfaction. They believe that the success of their business is the direct result of the positive relationships they have built with their partners. They have dedicated their resources to not just meeting their customer's requirements, but exceeding their expectations. PCPI provides each of their custom partners with "Innovative Quality in High Performance Plastics." This marketing strategy has gained them recognition as a global leader in engineering-grade thermoplastic injection molding. They are the preferred supplier for Industries like Aerospace Systems, Industrial Controls, Medical Devices, Automotive, Safety, Consumer and Commercial Appliances, Telecommunications Equipment, Industrial Equipment, Electronics, and Electrical Systems. 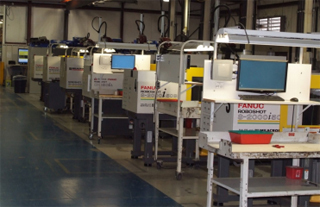 They provide components throughout the USA, Canada, Mexico, Europe, and Asia. Precision Custom Products, Inc. also values the importance of employee safety. They have been recognized for workplace safety by the Society of the Plastics Industry and the Logan County Chamber of Commerce. When asked about their reasons for locating their business in Logan County, they shared that founder, Kniska, employed by another Logan County injection molder at the time, desired to start his own business and purchased property that included a building that housed a small country church. He converted this building into his manufacturing facility and the baptismal pool was utilized to hold the cooling water for the first injection molding machines. PCPI truly has "been blessed over the years." Precision Custom Products has shown the importance in giving back to the community. They have been a strong supporter of United Way of Logan County for over 25 years. During those 25 years, their associates have contributed over $200,000 and in return, PCPI makes a corporate match dollar for dollar, bringing the total giving to over $400,000. In addition, PCPI has been one of the top ten corporate givers, with the average individual gift per associate coming in at $440. PCPI believes in manufacturing in the USA and knows that Logan County has a strong manufacturing base. The Chamber adds value by providing many support functions including Logan County Safety Council and Workers Compensation Group Rating programs. We thank Jim and the associates of Precision Custom Products, Inc. for their 36 years of chamber membership and their service and commitment to Logan County.